In 1996 at the Eastman School of Music two conversations met. I had been talking to my friends about a problem fellow composers faced getting music for large ensembles performed. Either you won an annual, faculty-approved opportunity with the school orchestra, or you pulled together an ad hoc orchestra to perform the piece on a Composers’ Forum, usually with minimal rehearsal. In fact, the concert was often the first time the whole pick-up group had played together. Alan had been talking to his friends about a different problem: none of the new music performed at Eastman featured minimalist composers. It was Alan’s first semester and my fifth. We were introduced at a party and started talking. Soon, Alan and I drew our circles of friends into a six-way conversation about working together to change the new-music scene at Eastman. Discussing the problems we wanted to address, we realized that the solution was to create a concert series. But none of us knew how to produce concerts. We decided to tackle the problem by creating a student-run organization that would produce new-music concerts and, in the process, teach ourselves the skills necessary to do so. We came up with a name for the organization, chose repertoire for two concerts, and designed a poster for the series, all before we had rehearsal space, performance venues or production funds. Or an orchestra. The point was to make a solid pitch to the school administration for support. Jim Undercofler, the newly-appointed dean, gave us that support and Ossia was born. Two Kilbourn Hall performance dates, rehearsal space, a $3,000 budget, and a slick series poster in hand, we set up a table in the Main Hall to get volunteers for the orchestra. Through that recruitment effort and many others to follow, most of the current members of Alarm Will Sound met: Christa, Bill, Beth, Mike Harley, Matt, Jason Price, Mike Clayville, John Orfe, Caleb, Courtney, Stefan, Miles and Nigel. Over the next several years of Ossia concerts, the working relationships and friendships that were to become Alarm Will Sound formed. With graduation from Eastman looming, we realized how much we wanted to continue working together in the professional world. We saw the need for a large, national ensemble dedicated to new music but we figured creating one from scratch would be an iffy proposition because there were probably many reasons why one didn’t already exist in the USA. Still, we wanted to give it a try because making music together was too important and fun not to. Right there in Spot Coffee on East Avenue, we decided that “Ensemble X” would be a large, touring ensemble of fixed membership (not a pick-up band!) creating, performing and recording the best of today’s music. “Ensemble X” was, of course, just a place-holder for whatever name we would eventually take. One of the questions we are most frequently asked is how we came up with the name Alarm Will Sound. The answer, like most decisions in the group, is: after lots and lots and lots of discussion. I spied the sign on an emergency exit while working out at the gym with Alan who was pestering me for name ideas. (“How about Alarm Will Sound?” — “Really? !”) It was added to a long list of of other possibilities that were endlessly debated and voted on. By the slimmest of margins, Alarm Will Sound prevailed: it captured a sense of adventure—risk, even—and had the word “sound” in it (appropriate for a musical ensemble). And we believed people would be curious about the name and, by extension, the group. 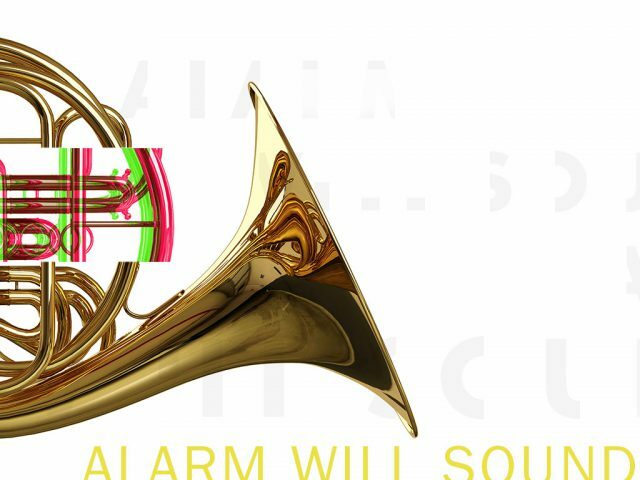 Alarm Will Sound’s first concert was on May 24, 2001. It was a Composer Portrait of Steve Reich at Miller Theatre in New York City. We shared the bill—appropriately enough—with Ossia, performing Tehillim and The Desert Music. (We released an album of those pieces around the same time). 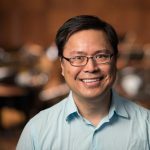 For our first 4 or so years, these Composer Portraits at Miller Theatre were a regular gig and gave us a platform to grow artistically and organizationally. And it allowed us to grow an audience. We shared with them the music of György Ligeti, Harrison Birtwistle, David Lang, Augusta Read Thomas, Benedict Mason, Conlon Nancarrow, and John Adams. In 2004, we were named Artists-in-Residence at Dickinson College. That was another significant development because it gave us time and space to develop work besides the composer portraits.Indeed, it was at Dickinson that we workshopped and recorded our next big project, which was to become a watershed for us. Caleb first suggested the idea that we arrange the work of Aphex Twin for ourselves to play. Most people in the group already loved the complex, direct electronica of Aphex Twin, but more than a few of us were skeptical that electronica would work as live music. There were heated debates about the nature of digital vs. acoustic sound, and of machine precision vs. human expressiveness. There were disagreements about whether we should be as faithful as possible to the originals, or interpret them more openly. Alarms were sounding. But we went through that door. And it was a rewarding adventure. We reached a diverse audience through the project and subsequent 2005 album Acoustica. And it gave us an important platform from which to pursue a wide-ranging artistic vision that doesn’t worry too much about genre—electronic vs. acoustic, high-modernist vs. pop-influenced, conventional classical concert vs. multimedia experience. For our first five years, most of the concerts we produced were “monographs” featuring repertoire by a single composer in a conventional concert setting. In 2006, we put on a mixed-repertoire concert that was also our first multimedia performance: Odd Couples paired pieces by composers who had a personal and/or artistic relationship that might be unexpected because their styles are so different: Frank Zappa and Edgard Varèse; John Cage and John Cale; Derek Bermel and Bernard Woma; Wolfgang Rihm and John Adams. The concert used video and staging to share our ideas about how the composers and pieces related to each other. We had wanted to do something like this from the beginning, but it took us time to figure out how to transform the concert experience in a meaningful way. While we continue to do many conventional concerts, Odd Couples led us to to imagine and develop other projects that bring together music, history, and ideas through multimedia performance. Starting in 2008, Alan came up with an idea we began developing as a new performance piece that would incorporate music, video, text and action. Nigel had led some earlier efforts (like Odd Couples) that incorporated staging and video to heighten our musical performances, but 1969 was to be a quantum leap beyond anything we had done before. Alan and Nigel collaborated with writer Andy Kupfer to craft a concert-length piece centered on a story about John Lennon, Karlheinz Stockhausen, Leonard Bernstein, and Luciano Berio striving for a new music and a new world against the backdrop of political turmoil and cultural upheaval of the late 1960s. Not only is that a mouthful, it’s stageful: surrounded by three video screens and three actors, everyone in the group plays their instruments, sings, and acts. 1969 pushed our limits as a group and as individuals. The individual members of Alarm Will Sound have a shared history of pushing our limits. We grew up artistically together starting from our student days at Eastman. As we’ve added new members we continue to grow together with a deep commitment to new music and to each other. That’s why we think of ourselves as a band rather than an orchestra. We’re constantly brainstorming new ideas about projects that engage us, arguing about what works and what doesn’t, trying things we haven’t tried before, and sometimes making it up as we go along. It’s because of that shared history and commitment that we are comfortable taking artistic risks with each other. We’re going to go through that door. Besides Alan and Gavin, Kala Pierson, Ian Quinn, Nicholas Scherzinger, and Cecilia Sun took the conversation the next step. The first concert featured student works by Gavin Chuck, Ian Quinn, Nicholas Scherzinger, and guest composer Elena Ruehr. The second concert was the music of Steve Reich including Four Organs, Sextet, and Eight Lines. Alan conducted both concerts. Our proposal came at the right moment: Jim Undercofler (who himself had founded the by-then-official Musica Nova as a student at Eastman) was building the Arts Leadership Program to incorporate entrepreneurship into the Eastman curriculum. ALP is now part of the Institute for Music Leadership and arts entrepreneurship and administration have since become an important aspect of many other conservatory curricula. Ossia is still going as a student-run, new-music organization at Eastman. Former AWS members were also fellow Eastman students: Jessica Johnson, Kirsten Sollek, Dennis DeSantis, Jason Treuting, Lawson White, Ike Sturm, Kate Sheeran, Jacqueline Leclair, John Pickford Richards, and Payton MacDonald. The list of 147(!) suggestions included such gems as Ear Chow, Earful, Walls Have Ears, and Feed Your Ears—just to name the aurally fixated ones. Ear Chow?! The Dickinson residency also gave us time and space to grow the organizational aspects of the group—it was the first time we had an office! Chris (Juilliard), Erin (Manhattan School of Music), and Nadia (Juilliard) graciously put up with the Eastman trivia and inside jokes. And Jason Varvaro (Planet Earth via New England Conservatory), our Production Manager, keeps our feet on the ground.